The game goes on sale before it's even released! Get your gladiator gear ready! 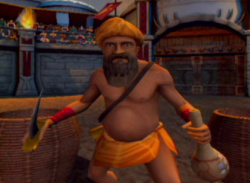 Check out the game's newest bad boy! Rage of the Gladiator may not be ready to step into the WiiWare ring just yet, but when Ghostfire Games invited us to a little sparring session with their first-person fighter we accepted immediately. We came away battered and bruised, but still very impressed with how Rage is shaping up. 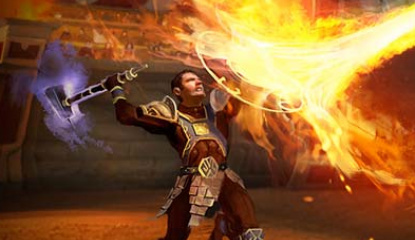 Each of the game’s three control methods feels completely different. Holding the Wii Remote.. Win a set of gladiator weaponry! 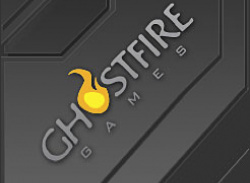 In celebration of the upcoming release of their Rage of the Gladiator WiiWare title, Ghostfire Games is holding a contest for those who've got what it takes to completely finish the game. 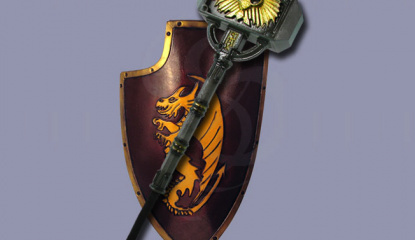 All those who finish the game can submit their entry and then a winner will then be chosen from all entrants and will be awarded a beautiful set of gladiator weaponry like the one.. 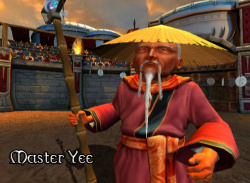 Check out the old wise master in action. 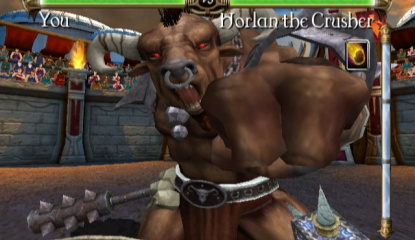 Take a look at yet another ferocious Gladiator opponent. Ed Roman, CEO of Ghostfire Games, has just sent over the latest video for their upcoming WiiWare fighter Rage of the Gladiator. In this newest trailer, you'll be introduced to yet another beastly fighter in the form of Gargadan, a twisted and ferocious Chimera who's size matches its appetite for blood. 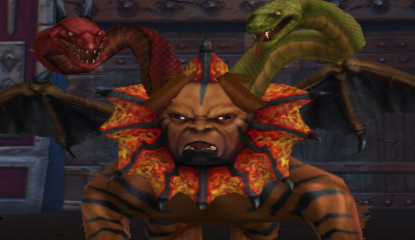 Gargadan’s Story: Gargadan is a.. 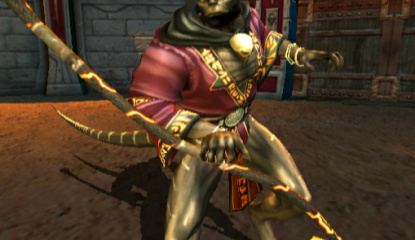 Here's another ferocious fighter from the upcoming WiiWare release. Ed Roman, CEO of Ghostfire Games, has just sent over another brand new gameplay video from their upcoming Rage of the Gladiator WiiWare release for everyone to check out. You can check out a snippet of information that accompanied the video along with the Sea Witch gameplay video itself below. The Sea Witch’s Story: The Sea..
Ghostfire Games listens to its fans and adds in new control feature. Who says that game developers never listen to their fans? It seems one developer is listening and has decided to add on a very important feature to their upcoming WiiWare fighter. Of course this also marks the first WiiWare release to make use of the Wii MotionPlus system, as well. Ed Roman, CEO of Ghostfire Games, has just..
Ghostfire Games shows off more of their upcoming WiiWare fighter. Ed Roman, CEO of Ghostfire Games, has just sent over the latest video of their upcoming WiiWare fighter Rage of the Gladiator in action. 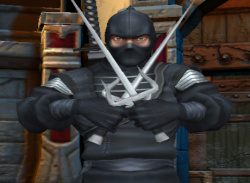 You can check out Naginata in all of his Ninja glory and get another taste of what you can expect from this unique WiiWare fighting title. Below is a snippet of information that accompanied the.. 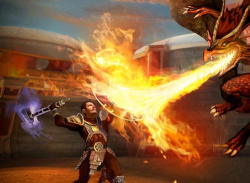 Check out the evil beholder in action. Ghostfire Games has just released another brand new trailer of their upcoming WiiWare release Rage of the Gladiator in action. 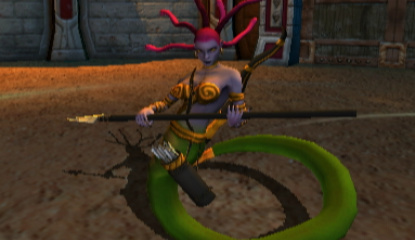 In this video you'll be introduced to another enemy in the game named Ixthid and this tentacled bad boy looks nasty! You can check out the video below along with a snippet of information that accompanied it. Ixthid's origins are not.. Check out yet another great music track from Ghostfire Games' upcoming WiiWare release. Ed Roman, CEO of Ghostfire Games, has just sent us over another brand new MP3 soundtrack tune from their upcoming WiiWare title Rage of the Gladiator. This is yet another track from veteran video game music composer Sean Beeson, who also work on the soundtracks for Eternity's Child and Mecho Wars. If you'd like.. 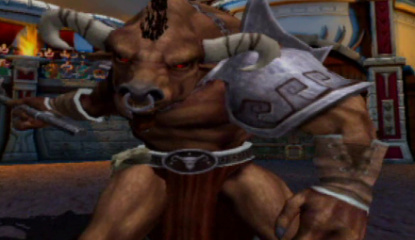 Check out the newest video from Ghostfire Games' upcoming WiiWare title plus a nice little bonus. 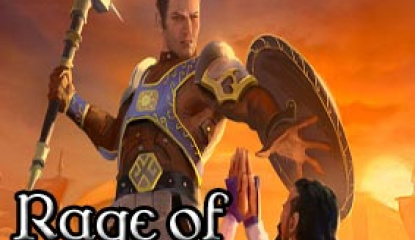 Check out the battle with the evil magician Lord Vensors! Ed Roman, CEO of Ghostfire Games, has just sent over a brand new gameplay video of their upcoming WiiWare fighting title Rage of the Gladiator in action. 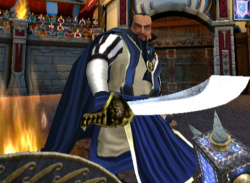 This is the battle with the evil magician Lord Vensors and you can see a handful of his magic tricks in action in the new gameplay video below. 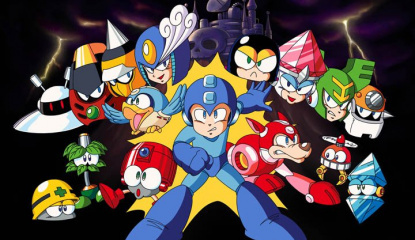 Ed was also kind enough to send us a batch of..
Mega Man 9 needs no introduction unless you have been living in a cave for the past few months! The game has been designed by Capcom to look, sound and play just..
Ed Roman, CEO of Austin-based game developer Ghostfire Games has just informed us that their WiiWare title Helix is coming to the European WiiWare service this Friday, September 26 for 1000 Wii Points. Now European gamers can enjoy the same unique music/rhythm game that US gamers have been enjoying for the past few weeks. 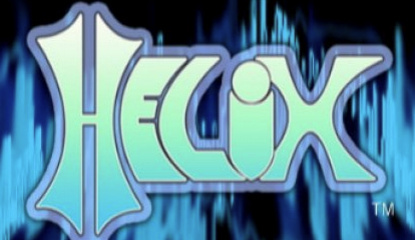 You can check out our full review of Helix, along with our exclusive.. 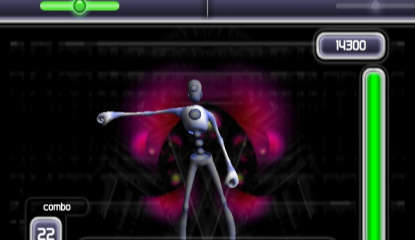 This week's WiiWare title is the music rhythm game Helix from Ghostfire Games. 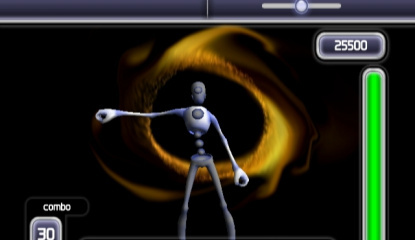 You'll need to grab two Wii Remotes and get your body moving to the beat if you're going to make it through this unique WiiWare title. 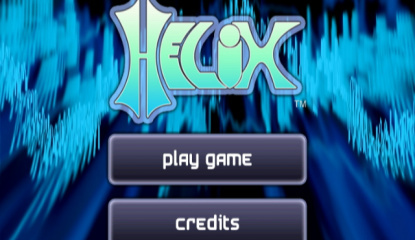 News Helix Coming To US WiiWare This Coming Monday! 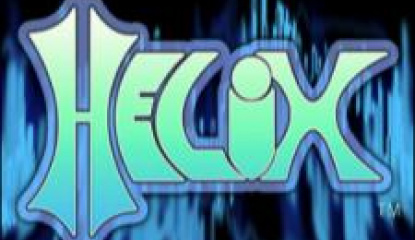 Ed Roman, CEO of Ghostfire Games, has just sent out a press release announcing that their new WiiWare rhythm title Helix is coming to the US WiiWare service this coming Monday August 25th. You can check out the press release below and you can also check out the telephone interview we did with Ed back in June. 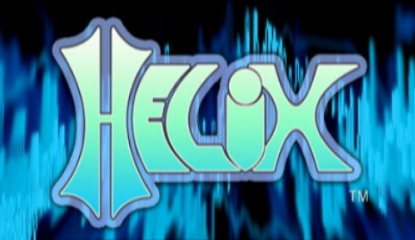 Ed Roman, CEO of Ghostfire Games and producer for their upcoming WiiWare title Helix, has just released a new developer interview video in which he answers many of the common questions that are being asked about Helix. You might remember that we did an interview with Ed last month about the game and this video is more of an extension of that. In the video, Ed explains exactly how the game plays as..
News Official Helix WiiWare Trailer - Shake Your Booty! Ed Roman of Ghostfire Games just gave us a look at the brand new official trailer for their upcoming WiiWare title Helix. He informed us that the game has been submitted to Nintendo for approval and they're hoping for an August 2008 release date. If you'd like to see more of Helix in action, take a look at the official trailer video below. The video shows exactly how the game is played and gives a..
A week or so ago we noticed that Helix got a rating from the ESRB so we have been getting an eye on the game’s progress with interest. 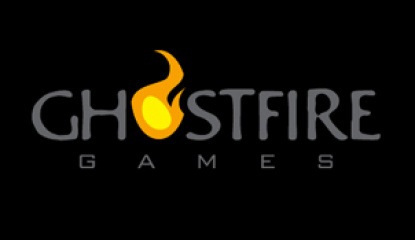 We don’t know much about Texas based Ghostfire Games who are developing this innovative music rhythm game for WiiWare, but we have to say it does look quite interesting. You can now get your first look at the game in action finally as Ghostfire have been so kind..
Ghostfire games has just revealed new screenshots for its upcoming WiiWare title Helix. Falling neatly into the ‘rhythm action’ genre, Helix calls for the player to move their bodies in time with the beat of 26 different songs, each crafted by an independent artist. The required moves – which include punches, backfists and hooks - are shown via an on-screen mannequin, with additional commands..